Stressful week. Crutches for one week, cast for at least three. And for anyone worried about how I took the news. “I look bizarre that tall.” As if that’s the only thing wrong with this picture. You are hilarious. I’ve never seen your hair straightened, haha. 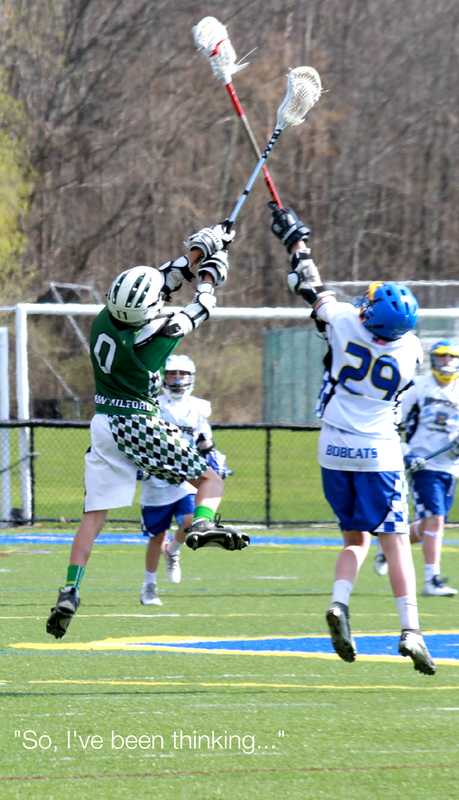 Poor kiddo…probably wasn’t a good idea to play lacrosse on the trampoline. 🙁 Kids will be kids. He probably won’t do that again. I look exactly like my sister in this picture. It’s kinda scary. Scar has learned a valuable lesson about playing lax on the trampoline, I doubt he will do that again! Darn girl. You have had a rough week!!! And you look like tisha with that straight hair! So funny, that’s exactly what I thought. Its good to see you and George are handling it all with such style and grace:) We are twins with straight hair!!! Would you expect anything less? Style and Grace are my middle names. And now we know what we would look like all tall and skinny. Not sure I like it. I could probably learn to like it though, huh? I saw that pic on instagram (the one of your son:-) and felt like I glimpsed my future with the twins!! I had never broken a bone, neither did my brother or sister. My three kids and her two – non-stop breaks, sprains, crutches, stitches. 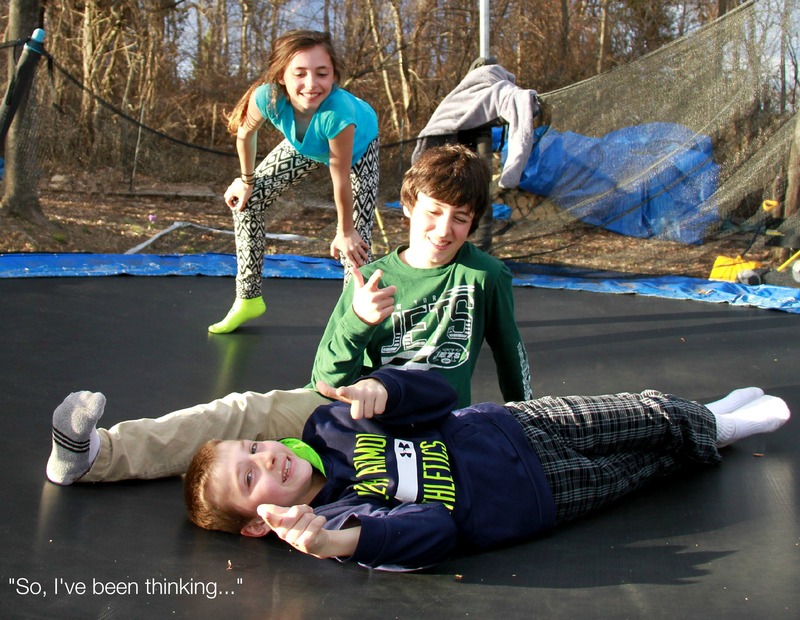 I have an idea how active your boys are – you may just be in for it, too. I hope not but obviously…sh*t happens. I’m sorry about George, Stephanie. And your son.Glad to see you still have your sense of humor! Hahaha Dana! The whole George thing, and all of the condolences have been cracking me up for 2 days. I definitely posted that pic at the right time. I just heard about George Clooney today and immediately thought of you. Seriously glad you are taking it ok and hoping your son is Ok now, too!! He will be okay. I think it is really just hitting him how serious the injury is. 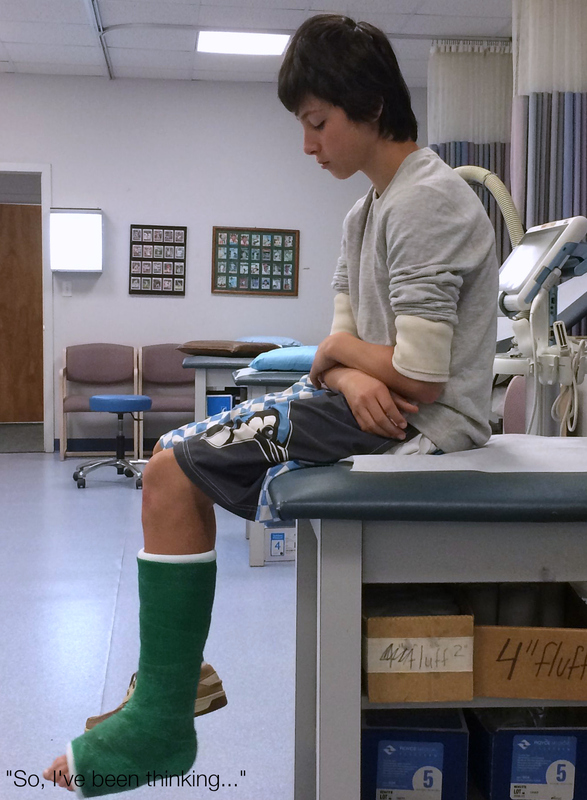 Doesn’t every kid think: oh how cool to have a cast! I want crutches. The reality: He is exhausted from hauling his backpack around on crutches and he just said today, “I really don’t like this.” Novelty gone in 24 hrs. hahaha, it’s okay if it does, considering I’m married, too. The condolences are cracking me up though. I even got a text today…that’s what prompted me to include the last picture. I’ve been laughing all day. I actually had no idea what Amal Alamuddin looked like until today. You inspired me to Google her. Anyway, you’re hilarious with that photo. And ouch about the injuries! I hope your son is okay, sorry about the crutches. You have impeccable taste in fashion and men! Let me know when you’re done with George. 1. We’ve had slings, ice packs, and even a neck brace during an ambulance ride, but no casts so far. 2. What do you think was going through his mind when you snapped that photo? 3. I’d like to have some photos of me and Ingrid Michaelson, but she’s so camera shy when we’re out and about. We like the corner booth and will never ride the same elevator. You look good tall! I might be a biased in favor of tall people but I think you should do it. Straighten your hair and stretch your legs!!!!! I actually used to dream about cutting out a couple of inches from mine so that it was easier to find clothes – I could donate!